Even with its straightforward play and silly graphics, Mario Golf: World Tour for the 3DS is just as fun and challenging as its Gamecube version. The game is a tried-and-true Mario-version of golf, but don't be fooled by the simple look: it's hard. Just like in real-life, gamers have to take into account course conditions (wind, foliage, weather, altitude and so on) before taking a shot. This is where the game thrives though, since half the challenge is in the core sports-aspect of the title. One of the other best parts of the game is the online play, specifically the ability to play in tournaments created by both players and officially-sponsored ones alike, such as the IGN Invitational, which offered several in-game prizes. 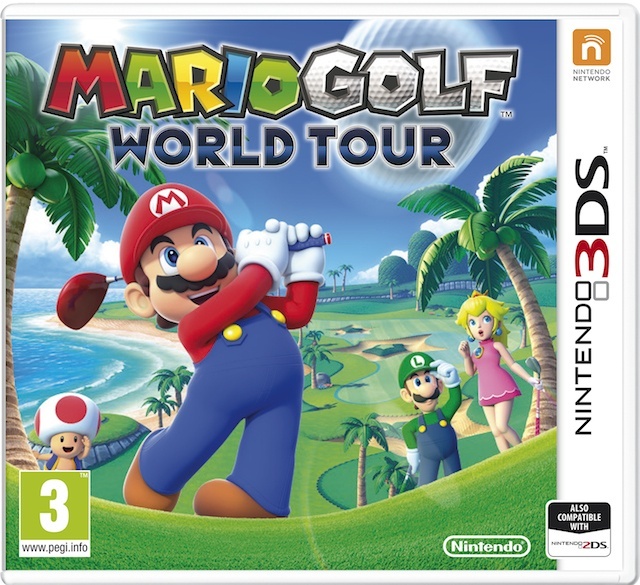 Aside from normal golf play, Mario Golf: World Tour also offers the opportunity to earn coins, which can be used to unlock courses and other items. These items can, in turn, be used to enhance your shots – a bomb will explode in the air and drop the ball straight down, the mushroom gives it a speed boost, and the ice flower can bounce your ball across water. The courses are also very challenging, especially DK Jungle where large flowers “chomp” at your ball while its in the air. Balls can also hit barrels and be sent to a different hole altogether. The element of fun is not lost on this game and its certainly one of the best Mario sports games in a while. The fact that it's on the hand-held 3DS is even better, since it can be played on-the-go. Our final score? Mario Golf is a hole in one.